By Thoriq Firdaus in Desktop. Updated on November 22, 2017 . Google Photos was probably one of the most raving of the many announcements in Google I/O 2015. Google Photos is a free photo management system and offers unlimited storage for high-resolution images (16MP max) and videos (1080p max). Google Photos is available as an iOS, Android, and desktop app allowing you to sync images and videos from your Mobile devices, PC, camera, or SD cards. I have been using Google Photos for a couple of days now, and I’m quite impressed with what it can do. Herein I would like to share what I have found along the way. Note: The iOS app is only compatible with iOS 8.1. With Google Photos, it is easy to upload images and videos. 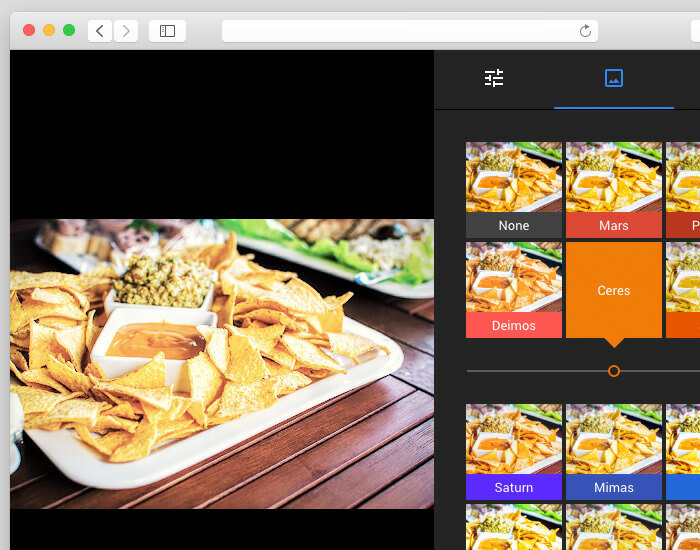 Aside from auto-syncing through the desktop and mobile apps, you can also upload photos through a “drag-and-drop” interface. 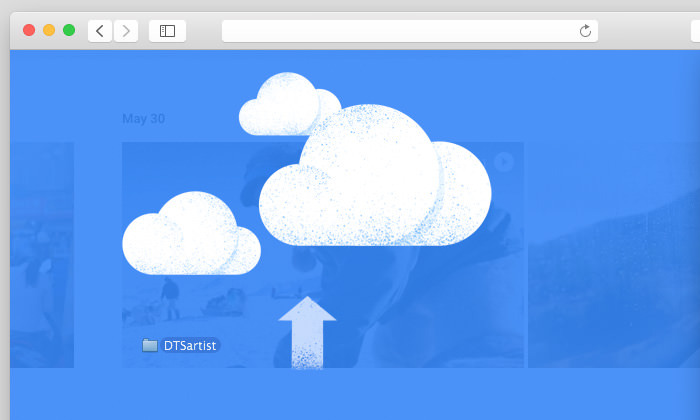 So long as the browser tab is viewing photos.google.com URL, you can drop numerous images and videos, or a folder of images or videos into the tab. The drop initiated an upload of all the files simultaneously, saving you time. Now once we have the images uploaded, we can do a few things to them such as manipulate the images, post them to Facebook and Twitter, share a link pointing to the images, create an Album, or tell Stories with them. 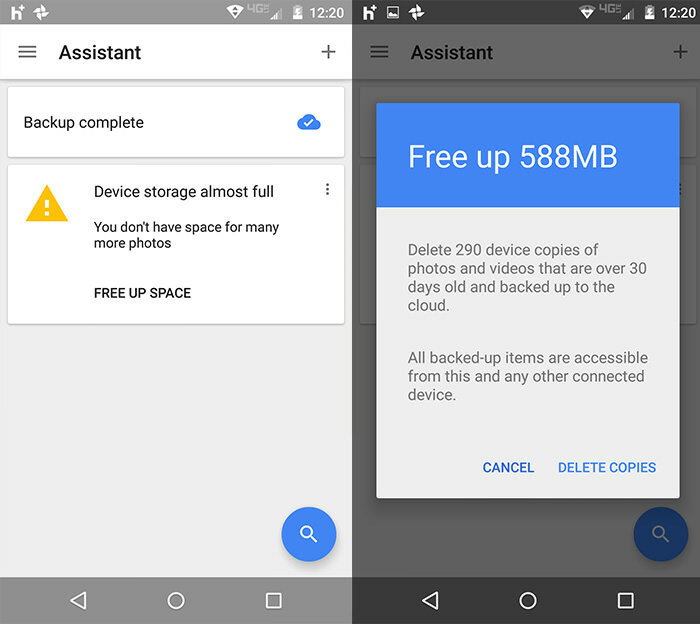 On top of that, I also noticed that Google Photo will merge two or more duplicates of photos leaving only just the one photo, thereby springcleaning your storage space for you automatically. Before uploading your photos, ensure that the Google Photos setting is set to the “High Quality (free unlimited storage)” option. The other setting, “Original” wil see your images saved into Google Drive (where you have limited storage) instead. As you login through the mobile app, Google will show this setting as you use the app for the first time. If you are login to the Web though, the setting is hidden beneath the “…” > Settings menu. Google also incorporates smarter search in Google Photos. We can search through our photos with a keyword much like what we do while searching for images in Google search. 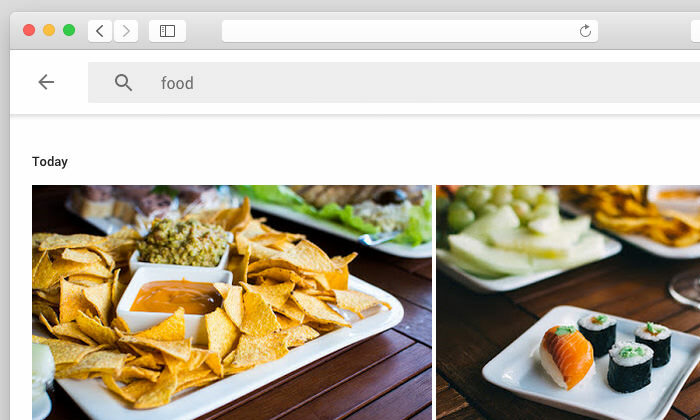 In Google Photos, the keyword “food” , for example, will return the image of foods, “Surabaya” will return images which has been geo-tagged with that location, while searching for “cat” (you gueseds it!) results in cat images. 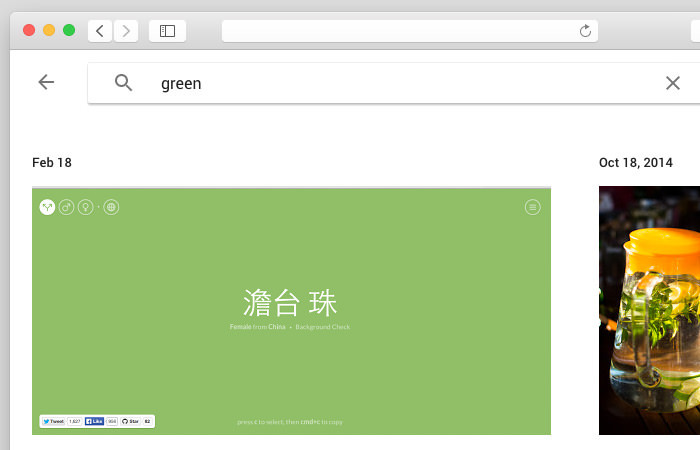 Surprisingly, Google also allows you to search with a color keyword like “red”, “green”, or “black” and it will come up with images with the respective shade or have the appointed color. However, accuracy is still a problem. Sean Buckley of Gizmodo gave some examples in his post where searches for “Sega” returned Nintendo, “evil” returned Disneyland images, and “food” returned book images instead. During my experiments, most of my searches come up empty (which may or may not be because of the small number of images in my library). Nonetheless, I’m sure it will improved over time as search has always been Google’s strength. 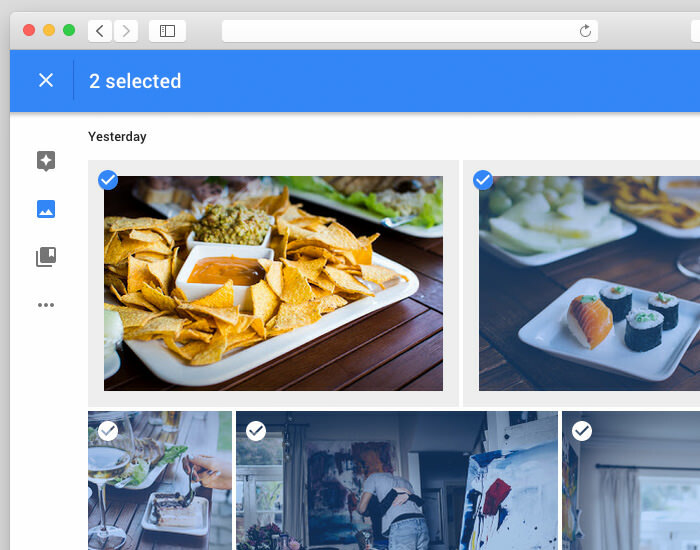 Selecting your images in Google Photos and videos is intuitive and equally effortless. In the mobile app, hold your finger on an image and then move your finger all the way to the last photo you want to select, and that is your selected batch of photos. On the Web, hold the Shift key to select multiple images in a batch, or use the Ctrl / Cmd key to select individual images. Furthermore, Google Photos also incorporate swipe and pinch gestures in almost every corner in the mobile application. If you are on mobile, Google Photos will arrange all your photos in a grid, in medium-sized thumbnails, by default. Pinch outward and it will set the view to a “Comfortable View”, with larger image views. Pinch inwards to set the view to “Compact” with smaller-sized thumbnail so you can see more images in the screen. Assistant is another feature in Google Photos that is worth mentioning. This feature will go through your images for similarities through various aspects and find relationships among your photos. It then compiles them together, prompting you to choose whether to save the compilation in the Library or not. On top of that, it also prompts you if your local storage (your phone storage) is running out space, and to help you free up some space, it will offer to remove photos. Google Photos is also equipped with a decent photo editor. To start editing, click on an image. Find and click the edit button represented with a “Pencil” icon at the top right. If you are using the mobile application, the edit icon resides below the image. The edit button will bring a new toolbar which lets you do some basic image editing such as cropping the image, adjusting the shade, lights, and colors. In addition, you can also apply pre-defined effects ala Instagram. Once you are pleased with the output, Save it. Lastly, another feature that I think is less noticeable on the surface is the image compression. As we are uploading photos to Google Photos, the image size is compressed. Once it has been uploaded, download the photos and you will find the image sizes much smaller. A photo initially 11.2MB will become only 2.4MB, that is an almost 80% compression rate. 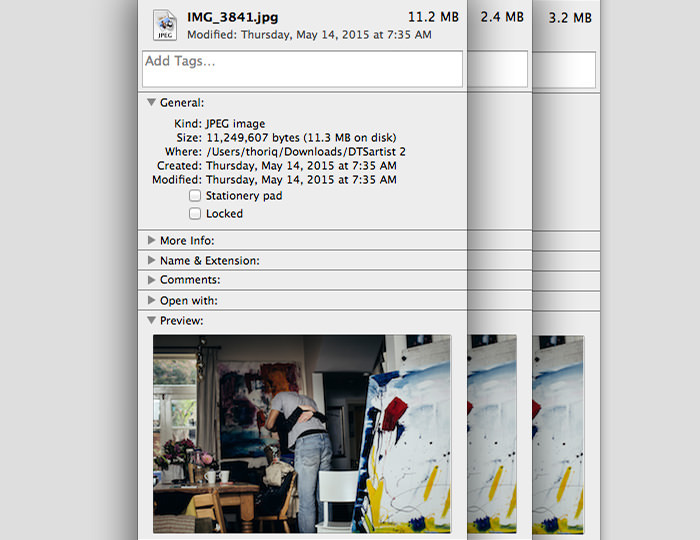 For comparison, JPEGMini compressions only could bring the same photo down to 3.2Mb. Aside from storing photos, it is a great tool for web developers to optimize their photos on their website for speed. Google Photos is a great app. You can upload as many as photos and videos from old hard drive, old computer disk, camera, and mobile phone without having to worry of running out of storage. It will organize the photos with its intelligent Assistant, and you can search, edit, and share it to other mediums, right from the app itself. Google Photos would probably make similar services like Dropbox, iCloud, Amazon, Flickr a little worried.